We started developing products for the Italian sailboat racing syndicate Luna Rossa, which is sponsored by the Italian luxury fashion house Prada. It will challenge the title defender Royal New Zealand Yacht Squadron at the next America´s Cup in 2021. 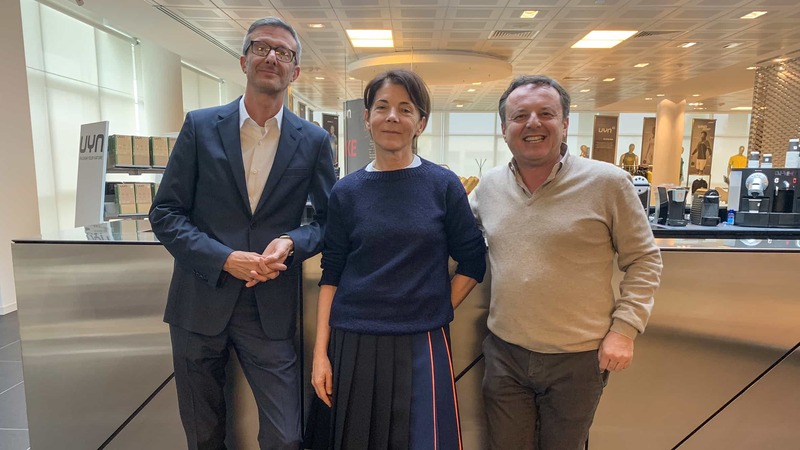 On behalf of Prada SpA, Marina Balduzzi (Product Development Manager Knitwear) and Daniele Buso (Men's RTW Division Director) visited our plant in Asola to get a first-hand impression of Trerè Innovation’s production and technological innovations. The America’s Cup is the oldest trophy in the history of sport. Its trophy is being awarded to the winner of sailing yachts races. The next America’s Cup will see the Royal New Zealand Yacht Squadron defend the cup, Luna Rossa will be taking the challenger’s role. Therefore, we have developed new second layers with the innovative technology from UYN®, which the Luna Rossa sailing team will be testing in the next months. We are convinced that our products will help you win the America’s Cup.